"If you let the Republican voter suppression steal the election, we're gonna burn this motherf*cker down!" for the zombie apocalypse, vote Romney. In his letters to Peter Neumeyer, a university professor with whom he collaborated on three children's books, Gorey offered a mini-manifesto, "E. Gorey's Great Simple Theory About Art." Gorey being Gorey, his artistic credo could fit on the head of a pin. Simply put, it's "the theory ... that anything that is art ... is presumably about some certain thing, but is really always about something else, and it's no good having one without the other, because if you just have the something it is boring and if you just have the something else it's irritating." How to save your kindle books from being deleted by Amazon. How Intrade manipulation provides a positive return to smart investors. “Whether we are winning a war is irrelevant in my platoon,” Swartzbaugh said in his letter to the editor that was posted in the newspaper’s full-page “Free For All” section on Saturday. Can Mitt Romney close the deal tonight? This is his last chance to show the American people that he's going to be the best representative for America out in the world. We know Obama can do the job, but we don't have the answer to whether the Mittster can do any better; I think that he's another smirking plutocrat, but I'm prepared to be proved wrong. Let's see what happens tonight. Akihiro Yanai does some wonderful contact work in this video. The path must be forged as you walk. Vikram Pandit ousted at Citigroup. Citigroup stock still down 89% from peak. Art heist: Where was Thomas Crown at the time? 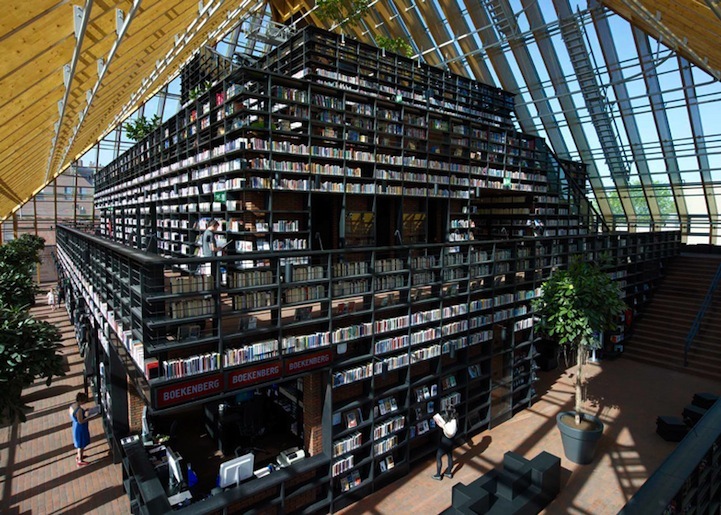 Those Dutch sure know how to build a library. Just look at it. If you believe that what is said is less important than how one looks when saying it, then clearly, Mitt Romney won the evening. It's a statement on the pundits that this was their nearly unanimous view. As far as it goes, Barack Obama needs to speak in short, concrete sentences, use periods at the end of sentences rather than dashes, and look like he's actually more interested in being reelected than the average voter is in reelecting him. It would also be helpful if Mr. Obama didn't betray Social Security in the course of the upcoming budget negotiations, as he did in the debate. And Mr. Obama got Mr. Romney to do all that by, as Paul Krugman puts it, "going for the capillaries." If one looks at the content together with the optics, it is much less clear who won last night.